For blog’s using the Disqus commenting system, you may see some article links to other websites below the Disqus comments section, with the heading “Around The Web“. Here is how to disable Around The Web Disqus links to external website articles. 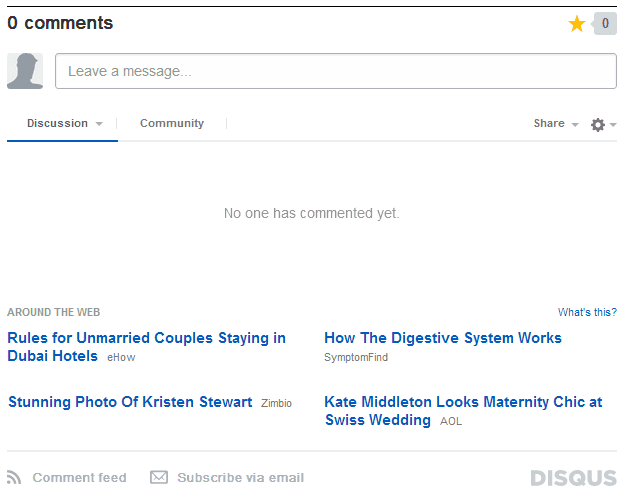 The Disqus “Around The Web” link area is called Discovery in Disqus, and it is not a new feature, but it was not available to all Disqus users from its launch in 2012, so you may or may not have seen it displayed until recently. It’s purpose is to generate traffic for users and to possibly earn users some money based on traffic sent to other sites. For this site, TechUserFriendly.com, links like those in the screenshot above aren’t relevant to the content here. So, one reason you may want to hide Disqus Discovery links, is that it may be showing unrelated content. Maybe you just don’t like the way it looks for your website. Or you may just want to experiment with the different settings for Discovery. Go to the Admin section. Choose the website you want to disable Discovery for, if you have more than one. Then go to Settings. Under Settings, go to the Discovery tab. Select the “Discovery level” you want. Change it to “increased traffic” or “just comments“, then check out the preview below the settings area, and see if this is the Discovery level setting that you want. Selecting “just comments” will make sure that the “Around The Web” links will not show up in the Disqus comment sections of your blog posts. 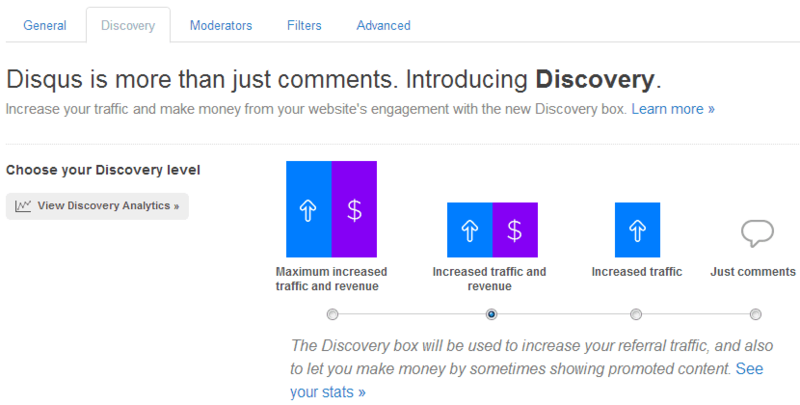 Introducing Promoted Discovery and F.A.Q.